A man one of one. A man. A rapper. A businessman. A hero. By now you’ve all seen or heard the news about Nipsey Hussle being killed on Sunday March 31st outside of his Marathon Clothing store in Los Angeles. After finding out about the shooting Sunday afternoon and then getting the confirmation of Nip’s death hit hard, but it’s been even harder to shake it or accept it since then. The hip-hop community, professional athletes and entertainment business feels no different as well as a countless amount of thoughts and prayers have showered down for Nipsey and his family. It’s pretty common for artists to make it out of their situation and never look back or come by every their neighborhood now and then for different reasons. Nipsey was part of a different breed, a rare breed. He calculated every move with his community on his mind whether it’s music, an interview, business or charity; how else do you get a nickname like Naybahood Nip. After the GRAMMYs, I wrote an article on Nipsey’s musical career (along with Jay Rock) and how he continuously represented Crenshaw. Along with Blacc Sam, Nipsey’s brother, the two opened up The Marathon Clothing store in the heart of their community right off of Crenshaw Blvd and Slauson Ave but that was only the start of things. 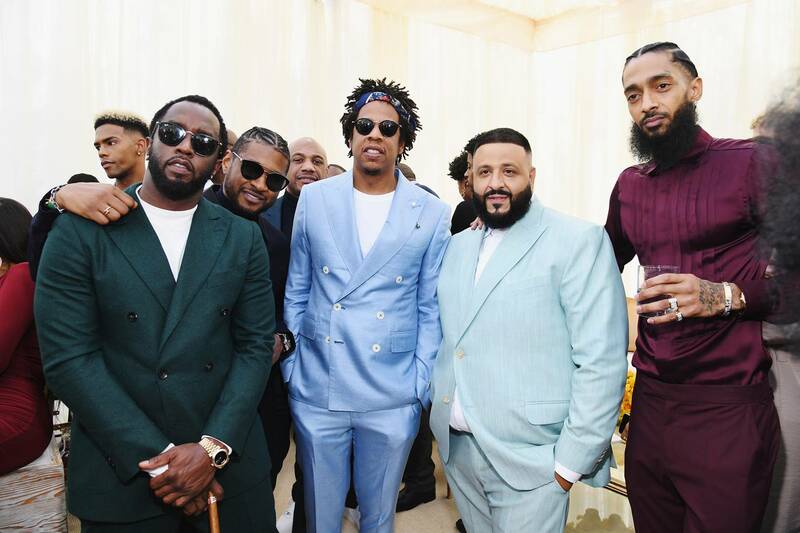 Just earlier this year Nipsey proudly announced that him and his All Money In brothers–Sam, Adam, David and Fatts (who passed away in 2017)–had officially closed escrow and are rightful owners to the whole strip mall plaza where the store is located. On top of owning the stores and keeping them within the neighborhood of where he grew up he made sure to employ people from his community, some who were ex felons or homeless but were struggling for that second chance. There are even rumors that the reason Nip was at the store on Sunday was to come help an old friend back on his feet being released from prison. 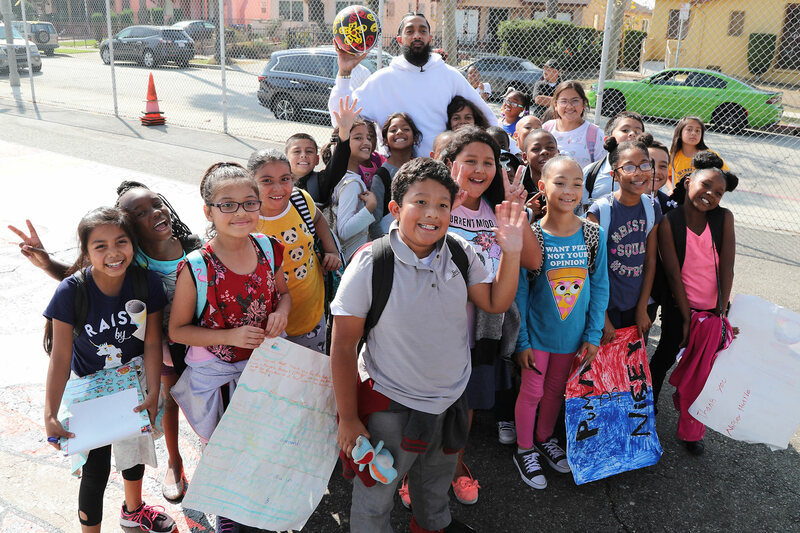 It’s always been said that “the children are our future” and Nipsey was a firm believer of this. Last year Nip opened up a co-working space and STEM (Science, Technology, Engineering and Mathematics) center called Vector 90 in the Crenshaw district. The purpose of the STEM center is to provide the inner-city youth with support and resources as a bridge to Silicon Valley. He had no problem with the youth wanting to be like the entertainers or athletes they follow on social media, but also wanted them to step away from the typical narrative and guide them into other strong career options. Over 25 years ago, Pac said during an interview with MTV that “I guarantee you that I will spark the brain that will change the world. And that’s our job, it’s to spark somebody else watching us.” Nipsey was definitely one of the protégés from Pac and his era; without a doubt, before leaving us Nip sparked the brains of the next generation of his entire community and many throughout the world. We’ll get to see the affect of all his work and legacy take place in 10 to 15 years from now when those children and teenagers are running their marathons.